The simplest way to analyze the exposure series is to look at the processed images and see where the highlights blow to white, and the shadows become so dark that they might as well be pure black. 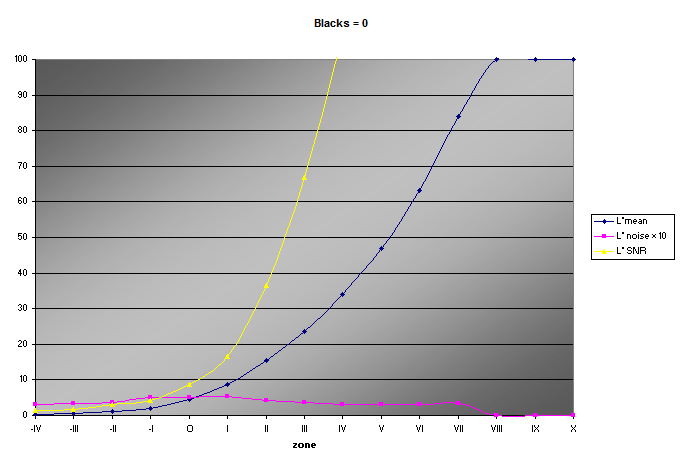 (I say this because, depending on how they are processed, the lowest zones may not actually reach pure black.) 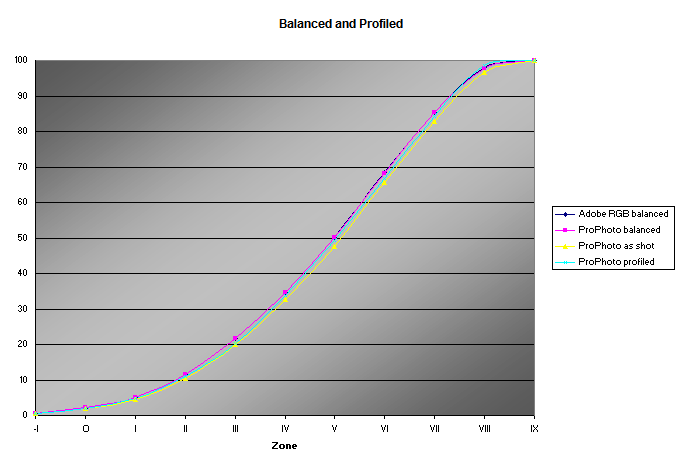 Constructing a zone ruler is a convenient way to summarize your results. For example, here is a graph of the L* values, noise, and signal-to-noise ratio of the images comprising the first zone ruler above. 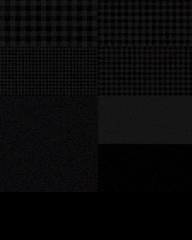 Increasing Blacks to +2 increases shadow contrast while reducing the tonal range. 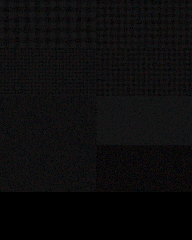 However, the signal-to-noise ratio decreases with the decrease in shadow values, most markedly in zone O, resulting in more apparent noise in the image. To summarize what is to come, the highlight threshold of digital image capture depends on the upper limit of image luminance values, but the shadow threshold depends on a combination of the lower limit of luminance values and acceptable signal-to-noise ratio. Below are details of photographs of the standard texure target, with a black bar at the bottom for reference, reduced to print size for display as are all the images above. The measurements refer to the large uniform square of the original images. 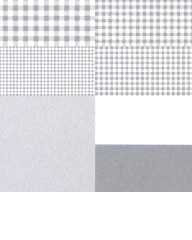 When printed, the first image shows no visible noise. The second shows some barely-perceptible noise in a very good light. 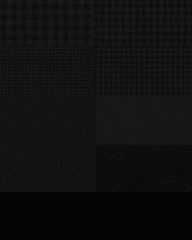 The third, besides being a little too dark, does show some noticable, but not too objectionable, noise. 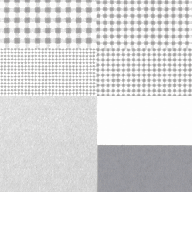 The noise in the fourth image is clearly visible, and is more likely to be objectionable in a fine print; detail is beginning to be obscured as well. 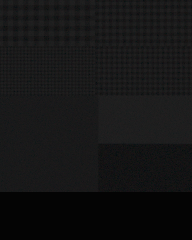 For this particular system, a good minimum shadow SNR is probably about 4. Side note—the images used for these tests were taken in the shade of a white wall, so there is a definite blue tint to them. I white balanced them for the tests. Below are the effects of white balancing, changing the color space from Adobe RGB to ProPhoto RGB, and using a ColorChecker Passport camera profile as opposed to Adobe Standard. Another side note—Alan Ross included comparison black and white patches with his gray card zone ruler images at www.alanrossphotography.com/2012/02/can-the-zone-system-go-digital/.